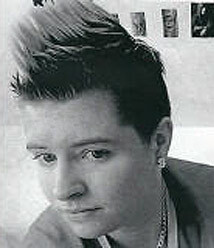 Gardaí in County Kerry are appealing for help from the public’s in tracing a 19-year-old woman. Grace O’Mahony a native of Tralee has been missing from the Ballyard area, since Saturday last, when she was last seen at around 1:00pm, before leaving her home in Tralee to visit a friend here in Thurles, Co Tipperary. The young woman is described as being approximately 5ft 4ins in height, is of of stocky build, with short dark hair, has pierced ears and a distinctive tattoo, described as a series of stars which goes down the side of her neck. When Grace was last seen she is understood to have been wearing faded blue denim jeans, black shiny runner boots, a short black leather jacket and a red baseball cap. Have you seen this young lady? Can you help? Anyone who may have any information, as to Grace’s present whereabouts, are asked to contact Thurles Garda Station Tel: 0504 25100, or any Garda Station.